With a reputation for uniqueness, Firebox hunts across the globe to find the most innovative and original products for its range. Founded in 1998, Firebox has grown into a must-visit destination for gift inspiration. From gadgets and games, to toys and clothing, Firebox vows to offer gifts with a twist, to capture even the most reluctant shopper. Whether you're searching for something for that hard to buy for relative, you want to treat a friend to something unique, or you simply want to find something fun for yourself, Firebox will inspire you with a world of ideas. Add Firebox to your Favourites list and be the first to know every time they have a Sale on! 1st January 2018 - Firebox New Years Day sales for 2018. 7th May 2018 - Firebox Early May Bank Holiday sales for 2018, add to your diary now! July 2018 - Firebox Summer 2018 sales, joining us? 23rd November 2018 - Firebox Black Friday sales in 2018 start on Friday 24th November. 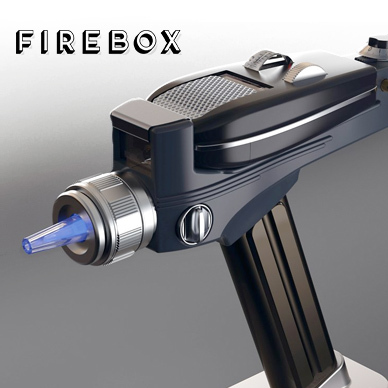 Add products from Firebox to your Love Sales list. Get the Love Sales button now! Firebox Cyber Monday Event. Did somebody say UP TO 60% OFF? No? Well, that's what you're getting. And there are some ruddy good bestsellers down there! Firebox August Bank holiday 20% off Sale is on with more then half price savings across everything. Whether your shopping for yourself or for a gift, you can find it here! Firebox August 60% off Sale is on with more then half price savings across everything. Whether your shopping for yourself or for a gift, you can find it here! The Firebox January sale is now on with up to 40% off food & Drink. Grab a bargain today! The Firebox January sale is now on with up to 40% off weird and wonderful homeware items. Grab something quirky for half the price.